The best of the best. Featuring revolutionary Tandem Air Technology, Sealed HEPA and every available feature. The perfect blend of the latest and greatest with true craftsmanship from days gone by. Six new clean air models packed with features and Simplicity’s signature Duratech durability. Have power, will travel. 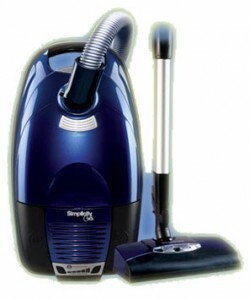 This is America’s best cleaning 8 pound vacuum. Easy to carry, easy to use. Rugged cleaners with your choice of power systems, tool cleaning, and filtration. Cleaning is a breeze with this Dynamo! For homes with mostly bare floors and the occasional area rug, the Cinch is the canister for you.